FCR, the premier provider of outsourced live agent call center and business process solutions, announced today that it will be hosting a Grand Opening event for its Independence Call Center. Members of FCR’s senior leadership, along with the Monmouth-Independence Area Chamber of Commerce, the Mayor’s office, and City Leadership will be on hand for the ribbon cutting ceremony. The event will start at 3:00 PM on September 22, 2015 at the company’s new contact center located at 1399 Monmouth Street in Independence. A ribbon cutting ceremony with the Mayor will commence at approximately 3:30 PM. Members of the media and the local community interested in learning more about opportunities at FCR are encouraged to attend the ribbon cutting ceremony and the social and networking event. FCR opened its newest call center in Independence in mid-July, supporting two new clients with fifty initial new hire colleagues. 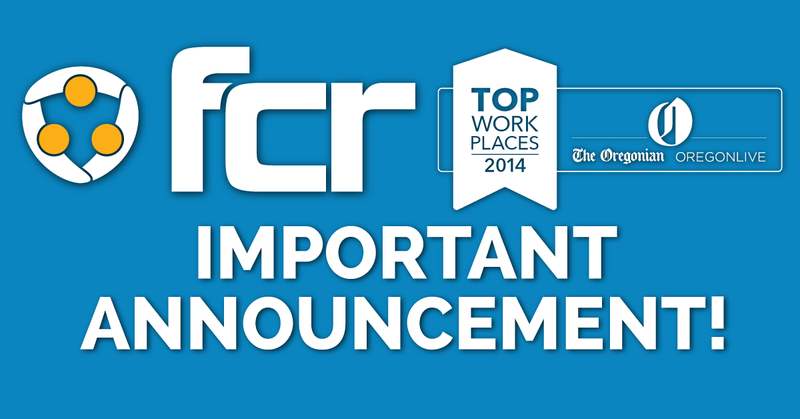 FCR plans to hire over 100 more positions by the end of 2015 as it adds more clients to its business. The Independence facility is expected to eventually bring at least 300 new jobs to the area. “I am excited about the new jobs and the increased payroll that FCR is providing, giving yet another boost to our community. New job — full, part time and shift — will provide additional money in the hands of people. FCR being in our community will strengthen families and create a ripple of prosperity throughout the region. This is another example of Independence being business friendly and utilizing the valuable resources that MINet provides,” said City of Independence Mayor John McArdle. Headquartered in Oregon, with facilities in Roseburg, Grants Pass, Coos Bay, Veneta, Eugene, and Independence, FCR has built a new class of high-quality, domestic-based contact center and business process outsourcing solutions. The company provides a wide range of outsourced call center and business process solutions to industries that include high tech, startups, mobile commerce, wireless, telecom, finance, insurance, e-commerce, healthcare, retail, travel and hospitality, and various sectors of the new economy. FCR currently supports more than 60 clients and employs over 1,300 colleagues across seven facilities. FCR is changing the face of the outsourcing industry, one call, email, instant message, text, and video conference at a time. To learn more about the company, visit www.gofcr.com for further information.